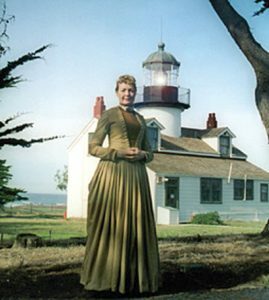 The Point Arena Lighthouse is home to a number of special events throughout the year. From holiday celebrations to educational programs, there is a lot going on at the Point. Please review the calendar below for the dates and times of our offerings, and be sure to scroll down for detailed information on such events as the monthly Night Tour, Lighthouse Lecture Series, Wind & Whale Celebration, Cruise the Coast and more. Check back frequently for updates and mark your own calendar with something special to do at the Lighthouse this month! Friday, April 19 Full Pink Moon Night Tour Gates 8 p.m., Tour 8:30 p.m.
Saturday, April 20 Lighthouse Lecture Series 4 p.m.
Sunday, May 5 Lighthouse Home & Yard Sale 10 a.m. to 3 p.m.
Saturday, May 18 Lighthouse Lecture Series 4 p.m.
Saturday, May 18 Full Flower Moon Night Tour Gates 8 p.m., Tour 8:30 p.m.
June (Date TBD) Discover the Coast 10 a.m. to 4:30 pm. Saturday, June 15 Lighthouse Lecture Series 5 p.m.
Saturday, June 15 (almost) Full Strawberry Moon Night Tour Gates 8:30 p.m., Tour 9 p.m.
Monday, June 17 Full Strawberry Moon Night Tour Gates 8:30 p.m., Tour 9 p.m.
Saturday, July 13 Lighthouse Lecture Series 5 p.m.
Saturday, July 13 (almost) Full Buck Moon Night Tour Gates 8:30 p.m., Tour 9 p.m.
Tuesday, July 16 Full Buck Moon Night Tour Gates 8:30 p.m., Tour 9 p.m.
Wednesday, August 7 National Lighthouse Day 10 a.m. to 4:30 p.m.
Thursday, August 15 Full Sturgeon Moon Night Tour Gates 8 p.m., Tour 8:30 p.m.
Saturday, August 17 Lighthouse Lecture Series 5 p.m.
Saturday, August 17 (almost) Full Sturgeon Moon Night Tour Gates 9 p.m., Tour 9:30 p.m.
Friday, September 13 Full Harvest Moon Night Tour Gates 7 p.m., Tour 7:30 p.m.
Saturday, September 14 (almost) Full Harvest Moon Night Tour Gates 7:30 p.m., Tour 8 p.m.
Saturday, September 21 Lighthouse Lecture Series 4 p.m.
Saturday, October 12 (almost) Full Hunter’s Moon Night Tour Gates 6:30 p.m., Tour 7 p.m.
Sunday, October 13 Full Hunter’s Moon Night Tour Gates 6:30 p.m., Tour 7 p.m.
Saturday, October 19 Lighthouse Lecture Series 4 p.m.
Tuesday, November 12 Full Beaver Moon Night Tour Gates 5 p.m., Tour 5:30 p.m.
Saturday, November 16 Lighthouse Lecture Series 4 p.m.
Wednesday, December 11 Full Cold Moon Night Tour Gates 5 p.m., Tour 5:30 p.m.
Saturday, December 21 Lighthouse Lecture Series 4 p.m.
Night Tours Every Full Moon! Join us for the unique experience of climbing the 145 steps to the top of the Lighthouse Tower at night and enjoying an unparalleled view of the full moon – weather permitting, of course! Night Tours are held most every full moon year round. Gates open 8 p.m., Tour starts around 8:30 p.m.
We have reached our minimum for this tour to take place, so you can make your reservations right up to the day of the tour. Please call 877-725-4448 ext. 1 or 707-882-2809 ext. 1 to reserve a spot on this tour. *NOTE: Tours will take place regardless of the weather conditions if the minimum number of guests sign up. Guests understand that visibility could be limited due to fog, rain, etc. and there is no guarantee that the full moon will be visible during the tour. 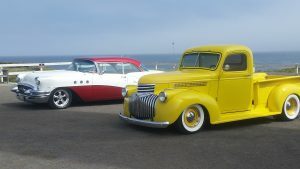 This special event saw the Lighthouse surrounded by beautiful classic cars, hot rods and customs. Check out the Cruise the Coast 2018 page!